Tuesday's sibling showdown at the U.S. Open was just one of many Venus and Serena Williams moments that gave us #SquadGoals. The sisters have dominated the tennis world for over 20 years, and Tuesday's match marked the 27th time that the two have gone head-to-head for a major title win. The game was a pivotal moment: For Serena, 33, a win would bring her one step closer to breaking a tennis record. For Venus, 35, it would signify her first major win since 2008. The Williams sisters' rivalry is one of the most talked-about in all of sports history, and has been a prime point of discussion during this month's U.S. Open in New York. But as many get caught up in the thought of a sibling show down, we forget that these two aren't arch nemeses — they're actually best friends. Venus and Serena are two dynamic women, juggling their own careers with their love of family. And there have been some great moments along the way that not only showcase how much they love each other, but prove that they showcase the ultimate #SquadGoals. In case you need reminding, here are some reasons Venus and Serena are the best. How many gold medals have you and your friends won? Because together, the Williams sisters have taken home the gold for women's doubles three times — at the 2000, 2008, and 2012 Olympics. Not to mention winning a few extra medals on their own. When you mess up and do something dumb, you want a friend who's going to laugh with you. They help you learn not to take things too seriously. And clearly, the Williams sisters have got that figured out. When Serena was cyber-bullied and body shamed following her Wimbledon victory, her older sister was her loudest supporter. 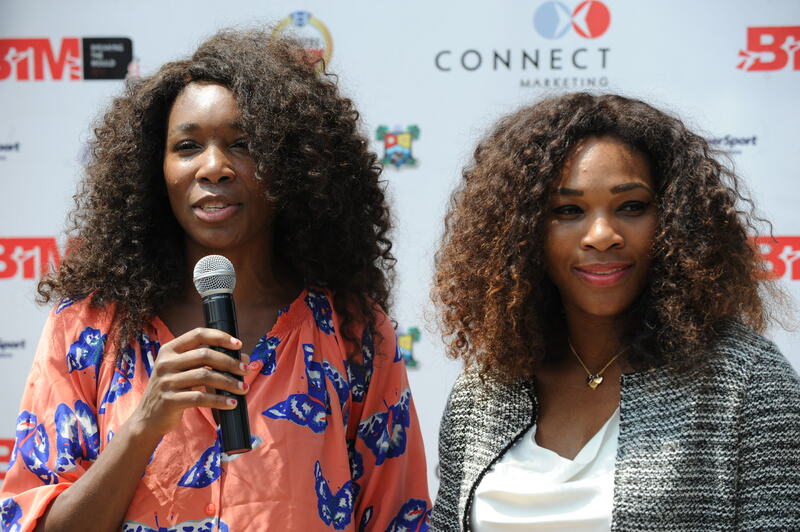 "From the very beginning, she has inspired me," Venus told People about her little sister. No matter how hard you try, no Instagram picture will ever come close to the perfection that is the Williams' milk advertisements. It could be pretty awkward to play against your sister, but these two have it down to an art. "I think it's more fun than it used to be," Serena said before the head-to-head. "We really relish the opportunity. We're happy to still be involved in getting so far, and it's still super intense. [Venus is] doing well, and she wants to win this. So do I. It's not going to be easy." Instead of coming from a family of tennis pros, the sisters came out of Compton, California, and were coached by a father who was relatively new to the game. Since then, they've been busting down walls in the professional tennis world. Now in their 30s, the sisters are not only showing they can't be slowed, but each of them have grappled with medical problems — Venus was diagnosed with an autoimmune disease in 2011, and Serena had blood clots in her lungs back in 2012. But despite their troubles, the two have bounced back. As much as the media likes to hype up the sibling rivalry, at the end of the day these women are professionals and sisters, and nothing is going to change that — especially not Tuesday's game.